In my previous article, I explored some unorthodox methods companies use to find the correct Harmonized Tariff Schedule (HTS) classification for their goods. In this article, I will outline some of the best practices your company should use when classifying your products. Selecting the proper HTS code requires application of the General Rules of Interpretation (GRI). While these rules instruct us on a method for selecting the correct HTS code, they do not give much practical guidance on how to approach the classification process. Funny, John, of course we know our products. Our company knows more about our products than anybody. After all, we designed them. Oh, really? Please tell me if that gasket is rubber or plastic. Well that… (stutter, bumble, hesitate). Let me get back to you on that. When I say know your product, I mean know it the way the HTS knows it. You need to know its materials, functions and performance specifications. Those of you who manufacture your goods know you will find much of this detail in your product specifications. Those of you who are distributors, resellers or retailers may find getting product specifications from the manufacturer to be more of a challenge. HS, HTS and Schedule B Codes. Curiously companies tend to assign the classification process to individuals with little or no product background. Other companies assign classification responsibilities to individuals that lack access to the product specifications. More and more companies are assigning classification responsibilities to product managers and engineers. As a result, product managers develop a deeper understanding of the tariff allowing them to redesign or counter source a product to qualify for lower duty rates. Familiarize yourself with the various areas of the tariff by periodically reading titles of sections and chapters. Each section and chapter begins with notes describing the chapter. Often the notes will detail specific inclusions or exclusions from the chapter. It is also common to find definitions or product specifications within the notes. Each chapter is subdivided into four-digit headings. Before settling on a classification within a chapter, it is good practice to familiarize yourself with all of the headings within that chapter. This may seem like a daunting task, but it will only take a few minutes even within some of the larger chapters. It can be helpful to highlight the headings in the printed tariff. Throughout the tariff you will see language divided by commas and semicolons. Semicolons are used to separate disparate ideas that do not relate to one another. Typically a semicolon means “or.” A comma will mean “or” or “and” and must be read in context. When reading the tariff it can be helpful to read it aloud and to read the punctuation. Much of classification has to do with comparing different numbers. When doing so you must select the four-digit heading first and then move on to selecting the subheading and U.S. classifications. A common error in classification is to compare a 10-digit code with a four-digit heading. Doing so can lead to an incorrect decision. Those of you who know the General Rules of Interpretation know this direction is included within GRI 1 and reinforced in GRI 6. Published by the World Customs Organization, the Explanatory Notes are invaluable in providing further insight into the six-digit level of the tariff. U.S. Customs and Border Protection (CBP) offers classification assistance to the trade in the form of binding rulings. These CROSS rulings are published on the CBP website. While not a requirement, importers may submit their products for classification to CBP. Importers are cautioned about this process because once the ruling is issued, the importer is required to abide by the CBP decision. CBP provides additional classification assistance in the form of informed compliance publications on its website. When a word in the tariff is unclear and otherwise undefined, look it up in the dictionary or other industry glossary of terms. This simple practice can help bring the tariff to life. Experienced classifiers could likely add to this list of external aids. It should be emphasized that in no way does using these aids substitute for proper use of the General Rules of Interpretation. check out the Harmonized Tariff Schedule seminar. Best practice classifiers document their entire classification process. This includes maintaining product specification records, a record of the thought process they used to arrive at their classification, and finally a product classification database. They also maintain excerpts from extrinsic aids they used to support their classification decision. Companies commonly maintain a simple product classification database that merely includes part or style numbers and the associated HTS code. Such a simple data table does little to demonstrate to CBP that the company has demonstrated reasonable care. It also dooms the company to rethink and re-research the classification of each new product that comes along. 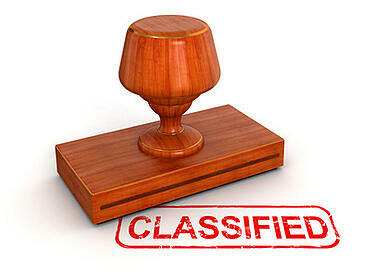 Don’t forget to share your classification database with your business partners, particularly your customs broker. Let us not forget the most obvious best practice: apply the General Rules of Interpretation. While they may not be glamorous, proper application of the GRIs is what will help you most in selecting the correct HTS number. This article was first published in April 2007 and has been updated to include current information, links and formatting.